Wireless CCTV camera have a two types, one is using normal analog cctv camera and combined with transmitter and receiver. Another types is Wireless camera, using same technology like wifi card on the laptop or pc. The picture behind is wireless camera, using 2.4ghz frequency to transmit data ( audio and video to receiver like router). The concept it's same like wifi card, have a MAC address (*device identity), so once the device switch on, MAC address will be looking to the router, and request for the ip address. After that Router will give the ip address to the wireless cctv camera. And for the setup wireless cctv camera, what u have to do is, install the software (normally wireless camera come with software. When the installation finish, the device should get the data ( video and audio). Normal wireless cctv camera can cover up to 200 meter range. But if u want wireless cctv camera cover range up to 200 meter, go to the branded wireless cctv camera. 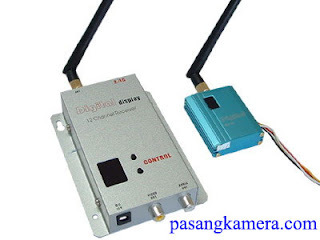 Second type is Analog cctv camera, but to convert from analog cctv camera, u have to using transmitter and receiver. 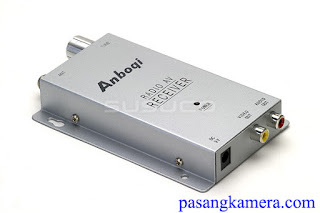 To transmitter the video u need to used transmitter, and then to receive the video or data need a receiver. To connect from cctv camera to the DVR PC, still using RG59 cable from the cctv camera to the transmitter, and then from DVR PC connect RG59 cable to the reciever. And the range u can cover if using transmitter and reciver can support from 100-300 meter depend on where u install the device. That's all for the cctv wireless camera. Depend on your choice which one u should choose, Wireless CCTV camera or Analog CCTV camera. And then check your budget for the installation CCTV Security System.